A work trip required a quick dash across the country to New York. I got into the city at the end of the day and checked in to my hotel for the evening. It turned out that my room was at the top of the hotel and had a view straight across at the Empire State Building. The weather wasn’t great but what are you going to do when you have an iconic building across the way? Of course I took some pictures. I even did a panorama. When I got back from dinner, the building was lit up nicely. The clouds had not dissipated but, at night, you don’t notice them unless they envelope the whole thing so I tested the low light capabilities of the camera. It did just fine. I headed out of town the following day. It snowed in the morning but was bright and sunny by the time I was at the airport. Too late to get a better shot sadly. 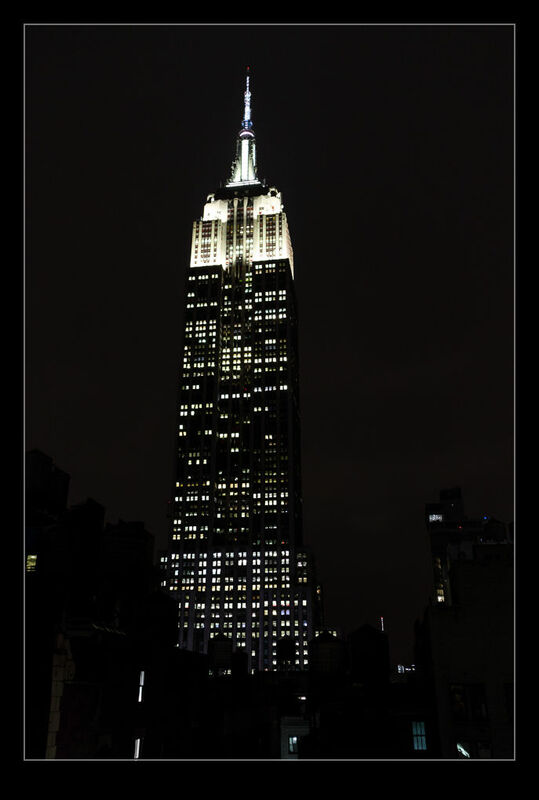 This entry was posted in photo, Travel and tagged Empire State Building, Manhattan, New York City, night, panorama, photo, travel. Bookmark the permalink.